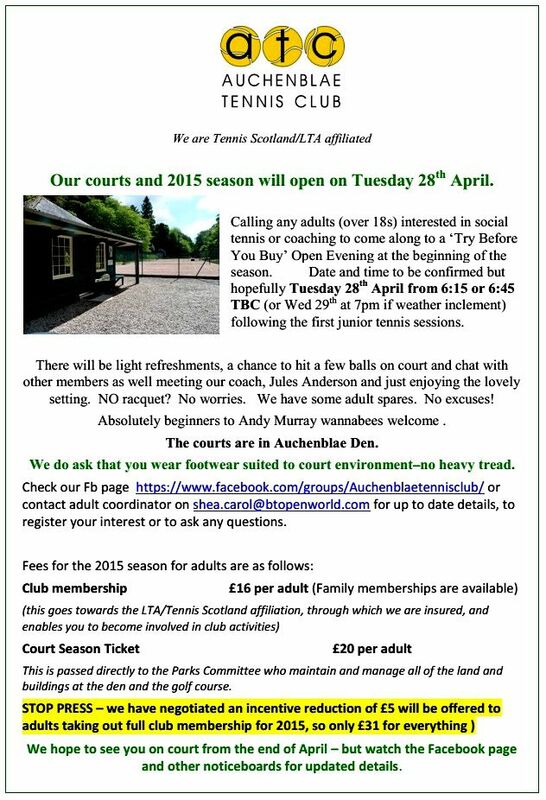 Auchenblae Tennis Club are to hold an open evening for adults interested in playing tennis, whether beginner or experienced. Details on the poster below. To find out more please contact Carol O’Shea at shea.carol@btopenworld.com, or visit the group Facebook page here.